London English has a new pronoun. Young people living in multicultural areas of the inner city use man as an alternative to I. Sometimes the meaning could be indefinite: in the caption to the picture Alex’ man pronoun could perhaps be replaced by you (in its general sense of ‘anyone’) or even one; but in other examples, like (1) below, man refers quite unambiguously to the speaker. Here Alex is telling his friend what he’d said to his girlfriend, who had annoyed him by bringing along her friends when he had arranged to meet her. How has this new pronoun developed? One relevant factor is that young people in multicultural areas of London now use man as a plural noun as well as a singular noun. Look, for example, at (2) and (3), where the number thirty-six and the adjective bare, ‘many’, show clearly that the noun is plural. Man is not the only new plural form of the noun: mens, mans and mandem are also heard in London, as well as the expected men. Mandem seems a straightforward borrowing from Jamaican Creole. The other forms result from the way that children acquire English in linguistically diverse inner city areas – in an unguided, informal fashion, in their friendship groups. Many different varieties of English are used in these groups, resulting in much linguistic variation and linguistic flexibility (click on ‘Multicultural London English’ in the list of terms on the left to see our other posts on this new variety of English). As a plural noun, man always refers to a group of individuals: either to people who are there with the speaker (e.g. you man are all batty boys, said by a young speaker to his friends) or to a group of people that the speaker has just been talking about. This paves the way for the development of the pronoun, since this is exactly how pronouns are used: I refers to a person who is there (the speaker), while he or she refer either to another person who is there or to a person the speaker has just mentioned. Since the plural noun man refers to a group of people, speakers can present themselves as symbolically belonging to that group. So when Alex uses man to refer to himself, as in the caption to the picture, he presents himself as a member of the group of people who think that personality is more important than looks. This gives his opinion more authority, by implying that there are others who feel the same way he does. In the same way, in (1), above, Alex refers to himself as man and by doing so portrays himself as one of a group of like-minded people who would also feel this way. Another factor that helps explain the emergence of man as a pronoun is that the discourse-pragmatic form man is very frequent indeed in multicultural inner city London. Like other discourse markers, man has many functions, but the chief one seems to be to express emotion (as in (4)) and to construct solidarity between speakers. Because man is used so often this way, the connotations of solidarity may spread over into its other uses – including the new use as a pronoun. So, in (5), below, Dexter is telling his friends how upset he was at not being able to use the plane ticket he had bought, because the police had arrested him. He uses you know to involve the other speakers, reinforces the fact that he had paid for the ticket himself by saying paid for my own ticket (rather than simply I’d bought a ticket), highlights the amount of money (a big three hundred and fifty pounds) and says explicitly that he was so upset. Here, using man to refer to himself is just one of many ways to emphasise the experience and look for solidarity and support from the listeners. In the data analysed in this paper it is almost exclusively male speakers who use the new pronoun, suggesting that it retains the meaning of the noun man. It has not yet, then, become a fully-fledged pronoun like I: only when both male and females refer to themselves as man will this have happened. Cheshire, Jenny (2013) Grammaticalisation in social context: The emergence of a new English pronoun. Journal of Sociolinguistics 17 (5): 608-633. The truth about grammar books: do they actually influence language use? Everyone is familiar with prescriptive grammars – books containing ‘the rules of correct language use’. But have you ever wondered whether these volumes have any actual impact on the way we speak and write? Lieselotte Anderwald was determined to find out. As an object of study she chose the progressive passive construction (for example, the summary is being read). This emerged as an innovative form in the late 18th century and then spread over the course of the 19th century. Previous research on this construction found considerable differences in use in the 19th century between American and British English. Indeed, corpus studies showed that Americans were somewhat reluctant to use this form, compared to the British. Anderwald hypothesized that perhaps this is because the progressive passive was treated differently by American prescriptivists. 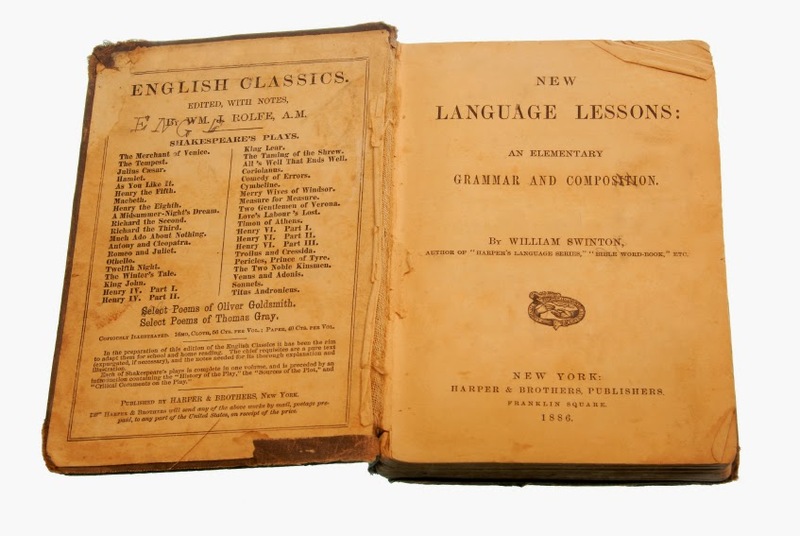 To test her idea she compiled a collection of 260 19th century grammar books from Britain and the USA. At first, like any incoming form, the progressive passive was frowned on by both British and American grammarians. In both countries it was judged as ‘ugly’ and ‘not pure’. However, attitudes to this construction gradually changed, and after 1870 British grammar books simply described it, without criticizing it. In America, in contrast, criticism was harsher and lasted longer – until almost the beginning of the 20th century – so it seemed that Americans were really discouraged from using the form. Next, Anderwald checked the Corpus of Historical American English (COHA) – a language database containing 400 million words from both the 19th and the 20th centuries. She was surprised to find that the progressive passive was used with pretty much the same frequency in the USA as in Britain! The reason why previous studies had found a difference between the USA and Britain was that they had mostly analysed private letters. The progressive passive was strongly preferred in fiction texts, which were better represented in COHA. So the differences in use were not so much between the national varieties, but rather between different types of texts. Passive constructions were particularly popular in newspapers, magazines and academic writing. Poring over the frequency graphs, Anderwald spotted another peculiarity: after 1940, use of the progressive passive in American English has been declining, especially in the press, whereas in Britain the construction has been spreading. This was surprising, given that prescriptive grammars in the 20th century are thought to be much less influential than they were in the 19th century. Anderwald’s explanation is elegant and simple. In 1959 “Elements of style”, a little pamphlet by Strunk &White, was published. Not only was it extremely popular among different groups of Americans, but it also contained an unequivocal tip “avoid the passive”, which included the progressive passive. The chances are that newspaper editors, who must have come across this popular pamphlet, followed its advice and simply wiped out any instances of the passive. This would explain its decline in frequency in newspapers after 1940. To sum up, this study showed two things. Firstly, that differences between text types were greater than differences between national varieties of English. Secondly, in the 20th century the influence of a single guide to good usage in America seems to have outdone the efforts of numerous 19th century grammars. Anderwald, Lieselotte (2014) Measuring the success of prescritptivism: quantitative grammaticography, corpus linguistics and the progressive passive. English Language and Linguistics 18 (1): 1-21. Language is such a crucial part of our lives that the way we use it can even reveal something about our relationships with other people. Michael Sean Smith* explains that people come to a conversation with both their own first-hand knowledge about themselves and also with the second hand knowledge they have of the other speaker. Being able to show such knowledge in a conversation is crucial to demonstrate engagement, closeness and intimacy in the speakers’ relationship. Life moves quickly and things can change in the time that elapses between two conversations. This means that discrepancies may arise between the speakers’ first hand and second hand knowledge. The phrase I thought is one way that speakers indicate a mismatch between their knowledge and what is now being said. To find out exactly how I thought works, Smith studied 75 hours of data taken from online corpora (or ‘banks’) consisting of examples from face-to-face and telephone conversations. As seen below, I thought is used to signal a misunderstanding between what has been said and what the speaker believed to be true. Here, Geri signals a problem in the conversation with the use of I thought, which Shirley is then able to correct. She provides an explanation, thus filling in the gaps in Geri’s knowledge. So, I thought points to an unexpected discovery on the part of the person who says it, one that is not their fault but in fact indicates a gap in knowledge which it is their listener’s responsibility to provide. This nearly always leads to the gap being filled and shared knowledge being happily resumed. It is clear here that, although Zoe is correct with her I thought, she is well aware that there is no gap in their mutual understanding. Her I thought reinforces her relationship with her father and demonstrates their shared knowledge as she teases him about his new taste in TV viewing. Therefore it shows recognition and appreciation on Zoe’s part of the fact that a change has occurred since they last spoke. In both of the above examples, the listener accepts the discrepancy and explains or corrects it. However, Smith found another less common function of I thought, witnessed in the following conversation between Julie and her housemate, Karen. Karen: oh it’s a patio? I thought you were gonna grass it? In this case, the recipient of the I thought comment, Julie, completely denies responsibility for Geri’s misunderstanding and feels no necessity to explain herself or correct the situation at all. This leads to a much more assertive and argumentative conversation. The most interesting thing about this little phrase I thought is how it can convey so much information about the speakers’ relationship. The gaps in knowledge that it signals only arise in long-term relationships where two people continuously learn about each other over time as well as in their current conversation. This knowledge is carried from conversation to conversation. Nevertheless, each speaker also has their own independent life and what was reported in previous conversations may change by a later conversation. So, in a way, I thought is like a verbal traffic light calling a stop to the talk so that a gap in knowledge can be fixed. But I thought I’d told you that already………..
Smith, Michael Sean (2013). 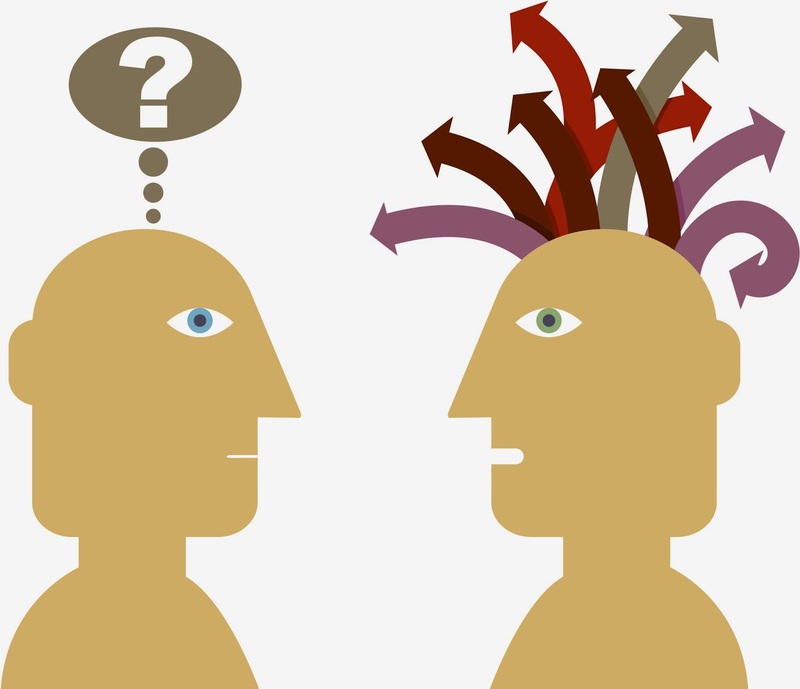 “ I thought” initiated turns: Addressing discrepancies in first-hand and second-hand knowledge. Journal of Pragmatics 57: 318-330. This summary was written by Gemma Stoyle.